– 1 cebolla large or 2/3 small. – 500 grams of meat sliced ​​veal. – Salt and ½ tablespoon sugar. Peel the artichokes and cut. 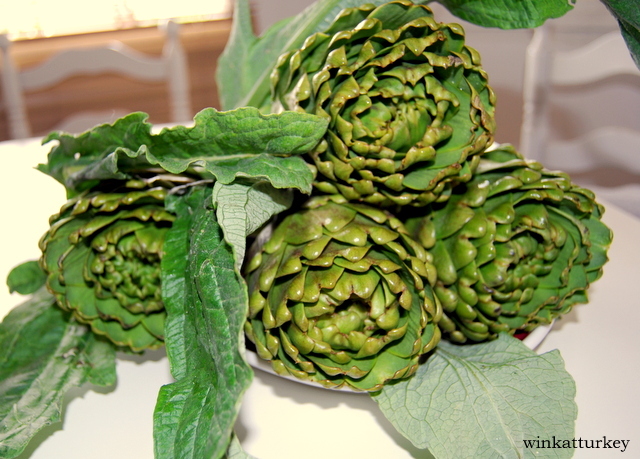 We will use the heart of the artichoke, to do this remove the outer leaves until we see that the left are white at the base. We remove the tips of the leaves and we are left with the center, we will start 4 parties who will remove the lint with. 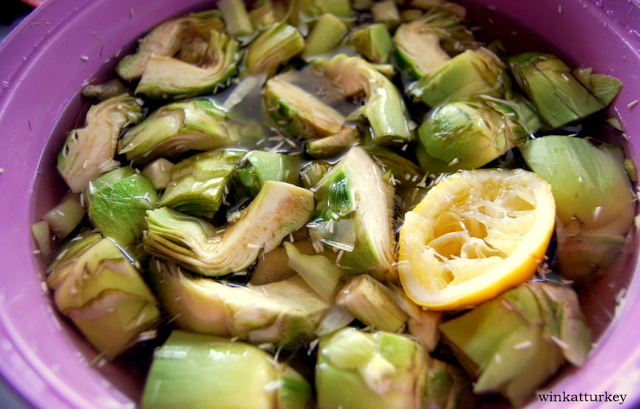 We filled a bowl with water and the juice of ½ lemon and let the artichokes and put peeled and cut into it. In a pan put the chopped beef meat and add water to cover the meat (2 fingers above) and boil the. When water is consumed, add a splash of oil and add the chopped onion, fry with the meat slowly and pour salt and a little sugar. In a bowl mix the juice of ½ lemon, 1 tablespoon flour, 1 splash of olive oil and 2 water glasses. 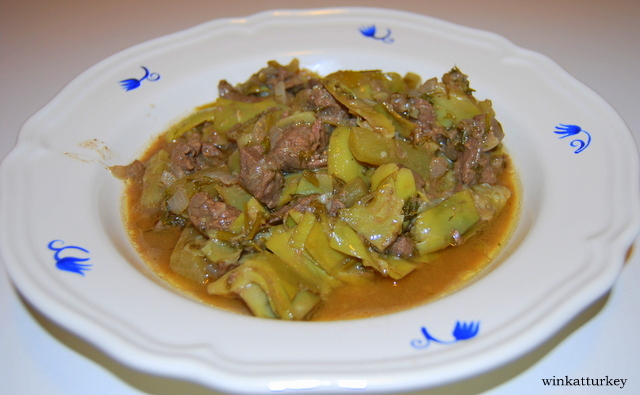 When well mixed add anything to the meat with the onion and toss the artichokes now. The stir everything well and cover with water until all a couple of fingers over the vegetables. We all to heat and when it begins to boil, lower the heat and keep 20/30 minutes until the artichokes are tender. When you turn off the heat, we take a bunch of finely chopped dill and stir everything. Couple are now ready to eat, delicious.